Posted November 28, 2018 by Andrea Laford & filed under DVD & Blu-ray, Merchandise, News, Videos. 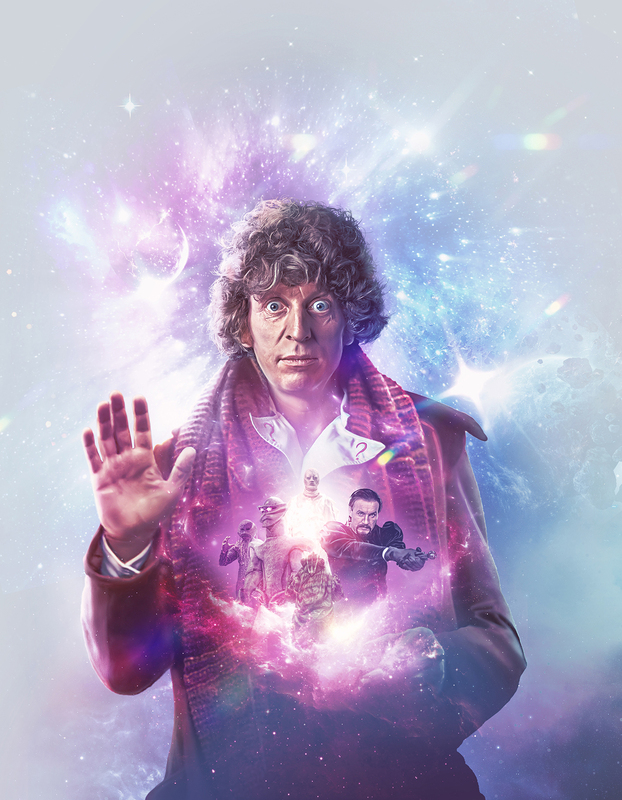 Tom Baker’s seventh and final series will be released on 25th February as Doctor Who – The Collection: Season 18. This entertaining promotional video, narrated by Tom Baker, is well worth a watch. Special Features exclusive to this set include: a new Making-Of documentary and updated special effects for Logopolis, revealing new 2019 commentaries moderated by Matthew Sweet (Tom Baker on The Leisure Hive, Lalla Ward & Rachel Davies on State Of Decay), surround sound mix for Warriors’ Gate, rare behind-the-scenes footage from The Leisure Hive, Full Circle and Logopolis, eight more editions of Behind The Sofa, brand new documentaries The Writers Room and Weekend With Waterhouse, a new interview with K9 & Company’s Ian Sears, another dip into the Panopticon convention archives with Tom Baker, HD photo galleries plus scripts, production files and rare documentation provided as PDFs. The eight-disc box set also includes hours of extensive special features previously released on DVD. Doctor Who – The Collection: Season 18 is now available to pre-order from Amazon and HMV.